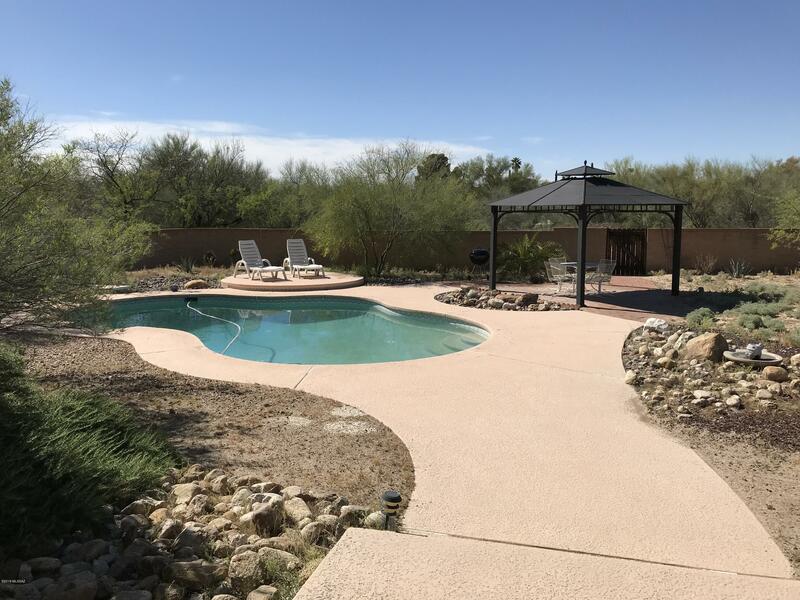 All Casa Roma Est homes currently listed for sale in Tucson as of 04/23/2019 are shown below. You can change the search criteria at any time by pressing the 'Change Search' button below. "Lovely Ranch on over half an acre. This home shows pride of ownership. In addition to large living and family rooms there is a huge game room and a studio, both with extra storage. The studio could be converted into a casita as it has seperate access. Game room offers tons of natural light with five skylights that open for fresh air and that great indoor/outdoor feel. The sparking pool and ramada are perfect for summer days and relaxing evenings. 18 inch neutral tile throughout, no carpet,"